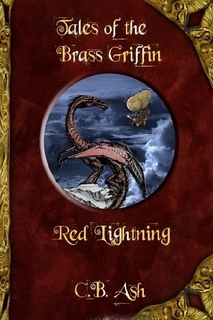 Far below the Griffin, electrified water jets scraped the ground. Where they touched, bright flashes ripped the air and dirt erupted upwards like geysers! Angela nimbly dodged around these, still in her were-form, ragged dress whipping around her. She bounded through the smoke rising off the savaged ground, ignoring the ringing in her ears and the flash-spots in her eyes from the ruthless blasts. “Get away!” she shrieked, half in fear, half in anger, while she tore across the night-shrouded Scottish hillside. Her heart pounded in her chest; ignoring the aches and bruises that screamed for relief, she raced onward, desperately clutching three tan canvas medical bags to her chest. Two steps behind her a Fomorian, fully transformed, rushed after her with a bloody glint in his eye. The smoke and fog curled off his monstrous eight foot tall form like steam from a hot coal. Bloody claw-marks streaked his arms and chest, his shirt and vest thoroughly shredded as if he had been mauled by an animal – not that the Fomorian noticed. The Fomorian jerked a massive Bowie knife from his belt. Catching the weapon by the blade, he hurled it at the girl. Angela glanced over her shoulder just as the knife was seconds from reaching her. Immediately, the werewolf pounced to her right; the knife whipped past, narrowly missing her arm by inches! Its blade burying point-first into the dark green, damp soil. Exhausted, Angela tripped over a stone and tumbled face first. Her precious treasures – the three medical bags – spilled out of her grasp onto the ground. The Fomorian reached her in an instant. Frantically, the girl scrambled to her feet in a confused panic. She instinctively ducked under the man’s massive grasp, then snatched up the bags. With a quick spin, she swiped out with her claws. The girl was rewarded with an immediate roar of pain. The Fomorian instinctively grabbed the bloody gash in his thigh while Angela bounded off across the dark, damp heather. Angela bounded off a rock, then over a forgotten moss-covered stone wall. The Fomorian ripped the Bowie knife out of the soil and charged after her in a limping run. He threw himself headlong at the wall, lumbering over it with a hiss of pain for his wounds. His anger melted like snow in the sun with the ominous staccato sounds of rifles and revolvers – ten in all – brought to the ready in front of him. “I think not!” Dr. Maria Von Patterson said with a brittle voice, her own revolver also aimed at the Fomorian. The weapons barked, and the Fomorian, riddled with bullets, collapsed to the dark grass in a heap. Immediately, the riflemen rushed towards the wall to look for any others. Maria wiped a trickle of blood that ran from the cut on her forehead, then quickly grabbed up her daughter in a close hug. “Yes, Mother,” Angela replied glumly, eyes downcast. She glanced at her mother in surprise when she was hugged again. “Enough of this standing about. Dr. Hardy is waiting down the line. Take the bags over to –” Maria’s words vanished instantly as a bullet slammed into her! Jerking to her left, she spun around and fell face-first to the ground. The doctor’s revolver tumbled out of her grasp. “Mother!” Angela shrieked, diving to the doctor’s side. “Put a knife ta me, will ya?” Dr. Selina O’Flynn raged; she clutched a single-action revolver in her bloody grip. Maria moaned in pain, then rolled over and clutched the wound on her arm. Blood oozed between her fingers while her eyelids flew open at the sound of Dr. O’Flynn’s nasally voice. The scientist’s clothes were torn and blood-smeared, giving her a nightmarish appearance. Rope burns scored her wrists where she had been tied. At her feet lay a sailor, dead from a gunshot wound to the chest; a knife and the severed rope lay next to the body. “Ya don’t look all full of blood and thunder now, do ya?” Selina snarled. Dr. Von Patteron’s eyes blazed in fury. Angela crouched low, shielding her mother from the crazed scientist. A dim, yellowish fire erupted for a moment in the distance over Dr. O’Flynn’s shoulder, completing her demonic silhouette. 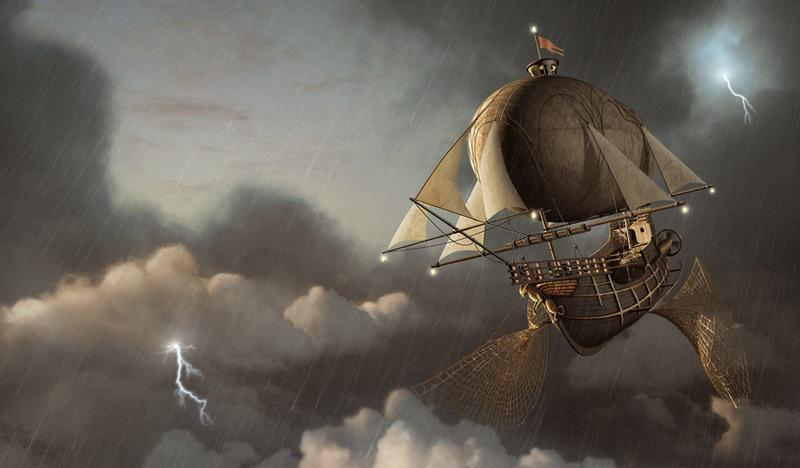 One of the sailors – a young ensign from the Fair Winds – noticed the danger behind him. Quickly, he spun around with his rifle. He opened his mouth to shout a warning, but a snap shot from Dr. O’Flynn silenced him permanently. The young ensign was dead before he collapsed onto the dark grass. O’Flynn lowered the revolver towards Angela and her mother. “Looks like I’ve done overstayed me welcome,” Dr. O’Flynn said with a smirk; a rabid, insane light flickered in her eyes. She backed away from the defenders, and the battle itself, towards a stone wall and the concealing black night. Around the trio, chaos erupted. On seeing someone firing at the gunmen from behind, the emboldened Fomorians broke into a charge! The defenders from the Fair Winds fired, their aim low towards the legs of the attackers to stop them from advancing. The roar of rifles barked in the night; a few of the Fomorians in the lead collapsed, however, more filled the hole in their ranks from behind! Her finger never closed on the trigger, as suddenly she was engulfed in white light! Her scream caught in her throat while her body was pitched forward, crackling with electricity and doused with a high pressure water stream. “Trigger’s still workin’,” Moira Wycliffe declared, appearing out of the darkness. 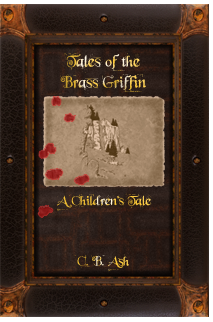 Over the wall, sailors from the Brass Griffin swarmed around the prone form of Dr. O’Flynn and rushed to aid the defenders! Guns shouted in reply to the Fomorian charge, then Moira rushed forward, water sloshing in her backpack and Lucas Gregory at her heels. The Griffin’s lady blacksmith planted her feet, taking aim at the surge of Fomorians running towards them. “Wait fer it!” Moira called out as Lucas and another sailor took position on either side of her; each readied their own modified lightning-pack. She glanced quickly to her comrades, then at the astonished – and relieved – faces of the exhausted survivors from the Fair Winds. Her eyes locked onto the Fomorians with a hard gaze. “Light’em up!” the lady cried, squeezing the trigger; suddenly, night became day. Thunder roared while lightning and high pressure water ripped into the oncoming mob. What the water did not trip, the lightning seared. Fomorians fell quivering to the heather in large numbers while Moira and her lightning-throwers waved their deadly spray back and forth. Fomorian courage – such as it was – broke in moments, and the mob retreated down the hillside. Moira and the others ceased fire and cheered. Arcady zipped up and circled around Moira. “I will find out where they are going!” In a flash, he tore off through the night. Behind Moira, Dr. Llwellyn hurried over to Maria, pulling open his own medical bag. He gave a quick glance at the quivering form of Dr. O’Flynn. Maria struggled to sit up. Angela shook her head frantically. “Mother, no, please! You’ve been hurt!” the werewolf rasped, her muzzle twitching in anxiety. “Doctors are ever so the worst patients,” Dr. Llwellyn said firmly. “However, I implore you to try and make a good show of acting like one.” When Maria had settled back onto the grass, obviously against her will, Thorias glanced at the bullet wound Maria had been gripping with one bloody hand. The elven doctor frowned when he saw it. Maria grimaced while Thorias gently prodded the wound, then began to clean it. She glanced over at the limp form of Dr. O’Flynn, being pulled from the grass and rebound with some rope by a pair of men. Maria shook her head at the doctor’s diagnosis, lines of exhaustion appearing on her face. “I’ve a responsibility here,” Dr. Von Patterson said weakly, her voice brittle. The girl dug around in the medical bag, then handed over the needle, thread and bottle. Thorias noticed Angela’s hands tremble; her eyes, damp and large, filled with near-panic for her mother. Thorias glanced at the girl, cleaned the needle with a douse of rubbing alcohol, then resumed his work on Dr. Von Patterson’s wound. “Angela, is there another medical person here?” Thorias asked calmly. “Good, take those other medical bags to him. Quick, now!” he said with a brief smile. Instantly, the girl nodded, snatched up the bags, and raced off as fast as her paws would carry her. “I didn’t precisely invite her to high tea for gossip,” Maria snapped. “What is?” Maria asked weakly. “Why would they do any of what they’ve already done?” Thorias asked in reply. “Lunacy? Fanaticism? Probably a depraved combination of the two. I’ll let better minds than mine solve that question. Right now, I only hope they don’t attempt to refine this new weapon. Currently the gas is so concentrated it remains in a small area and can be burned away.” The doctor sighed heavily. “If they refine it, dilute the amount being used …” his voice trailed off. “The effects could linger for weeks,” Maria replied with a hushed voice. “Or leave the victims unaware for hours that they even need medical attention, until it may be too late for them,” Dr. Llwellyn replied. “I trust you’ve a way for us to leave?” she asked. “So then we wait,” Dr. Von Patterson said with a tired voice. Maria shook her head sadly. “I’m sorry, Doctor, he’s still in there.” She pointed down the hill towards the flaming pit that belched acrid smoke. Thorias stared down the hill, then around at the wounded from the Fair Winds that were littered across the ground. He closed his eyes; he had his oath. One life against dozens. His choice was already made for him, though he did not like it. “Angela’s running medical supplies to another doctor. Ian … isn’t here,” Dr. Llwellyn replied as he stood up and hurried over to a man clutching an ugly wound in his side. Thorias paused to gesture towards the pit down the hill. Moira glanced in that direction. In the distance, by the light of the stray fires, she could see the surviving Fomorians already starting to regroup. Thorias winced at the sight of the ensign’s wound. It was messy; he had lost a noticeable amount of blood, but the young man stood a slim chance of survival. The doctor shook his head then glanced over his shoulder at Moira. “We can’t leave him!” Moira snapped back. “Don’t you think …” The doctor’s words caught in his throat. A large shape moved in the darkness. Light glinted off metal, spidery legs, while smoke plumed out a series of holes in the side of the monstrous war machine. Twin barrels atop the Arachnid body sparked with electricity while it prepared to fire. “Down!” the doctor shouted, throwing himself at Moira to drag her to the ground. The Arachnae Ironclad abruptly belched twin streams of water, hammering the ground with wild claws of lightning all around them! 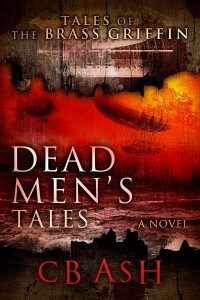 This entry was posted on Monday, November 7th, 2011 at 6:30 am	and is filed under Dead Men's Tales. You can follow any responses to this entry through the RSS 2.0 feed. You can skip to the end and leave a response. Pinging is currently not allowed. This was a difficult and very energetic episode to write. Tough to start, however once I actually did get it going, it felt like riding a roller coaster. The musical pairing for this one would be “Card to Play” created and arranged by Glenn Stafford, Derek Duke, Russell Brower, Neal Acree for soundtrack of the game: Starcraft 2. I know that may seem an odd choice, but give it a try, it has a feel and tempo that I felt captures the spirit of the events.